Parent-Child Home Program (PCHP) envisions every child entering school ready to succeed because every parent has the knowledge and resources to build school readiness where it starts: the home. PCHP is an evidence-based early literacy, parental engagement and school readiness model committed to closing the achievement gap by providing families with the knowledge, skills and materials they need to prepare their children for success in pre-kindergarten and beyond. 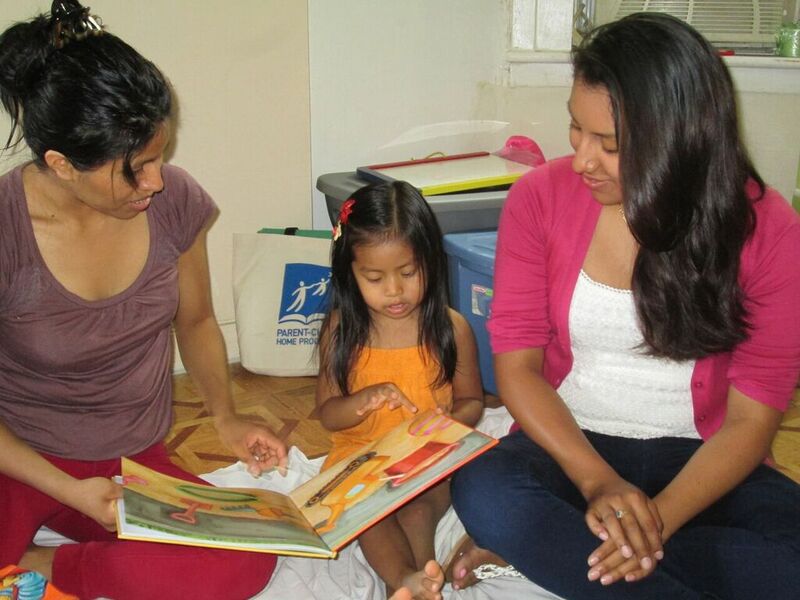 PCHP brings Early Literacy Specialists into the homes of families with children aged 2-4 who do not have access to quality early childhood programming, helping parents build language-rich home environments that enhance children’s literacy, cognitive and social emotional skills, while supporting the transition to pre-k. In 50 years of evaluation, PCHP has documented important longitudinal impacts for program participants: graduates enter school as well or better prepared than their classmates, perform significantly better than their socioeconomic peers and as well as or better than the overall population on school readiness measures in kindergarten and first grade, and are reading and doing math on grade level in third grade. They are 50% less likely to be referred to special education services by the third grade; and they graduate from high school at the rate of middle class children nationally – a 30% higher rate than their socio-economic peers. For more research on PCHP please click here. GreenLight has worked with PCHP to build exciting local partnerships with the Philadelphia Housing Authority and Public Health Management Corporation. With these strong partnerships in place, PCHP plans to launch two Philadelphia sites in fall 2016. In its first year, PCHP will serve approximately 100 families – 50 in the Sharswood/Blumberg Choice Neighborhood Planning Area and 50 immigrant, refugee and/or English language learning families in Southwest Philadelphia. Families identified and enrolled in year one. Intensive and consistent home visits with families (twice/week over a two-year period). High quality books and educational toys in library to build learning, language and literacy-rich home environments. GreenLight Fund is made up of passionate people like you. Learn how you can be a part of the GreenLight Philadelphia community.